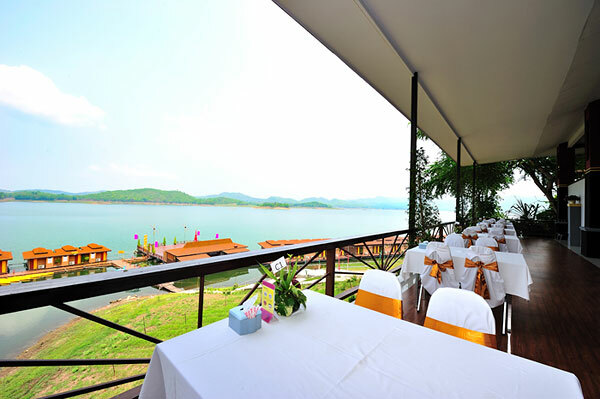 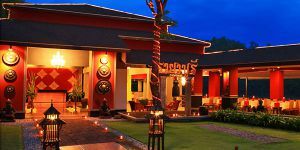 Rayaburi Resort can be seen as an interesting accommodation in Kanchanaburi, situated at Si Nakharain Dam. 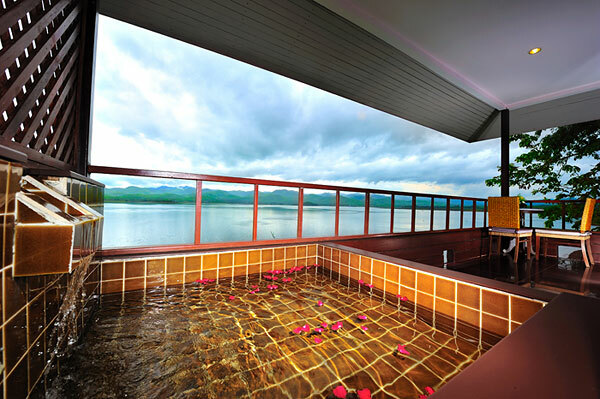 It offers private atmosphere with beautiful lake and mountain views. 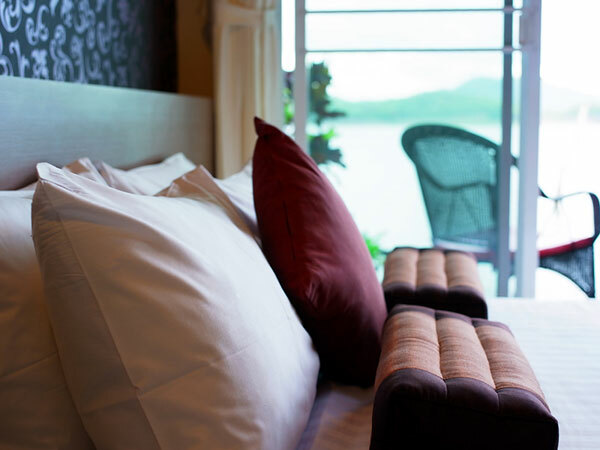 Rooms in the building or houses over the water are provided for visitors to choose what they prefer. 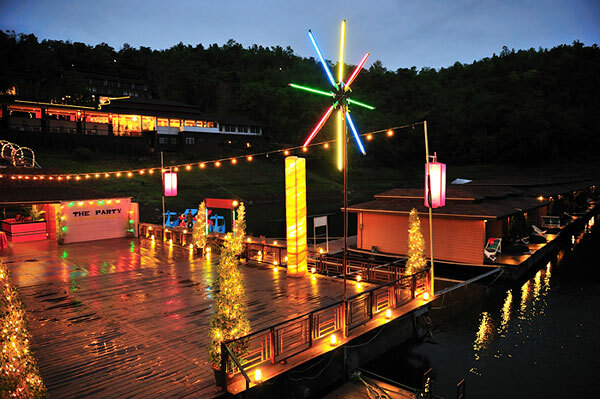 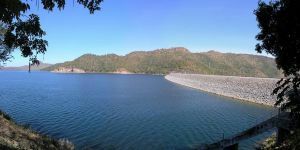 The resort also offer rafting package to visit Huay Khamin Waterfall and to see beautiful sunset spot at the dam. 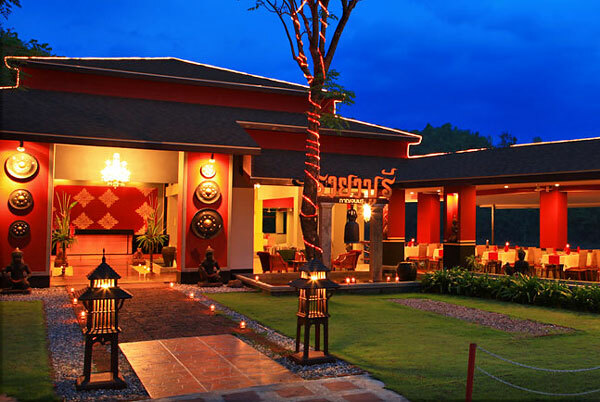 Rayaburi Resort is perfectly situated in the location surrounded by nature. 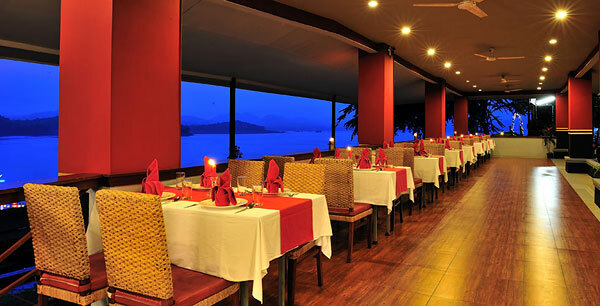 Its design is like half hotel and half resort, where the decoration is likely modern style. 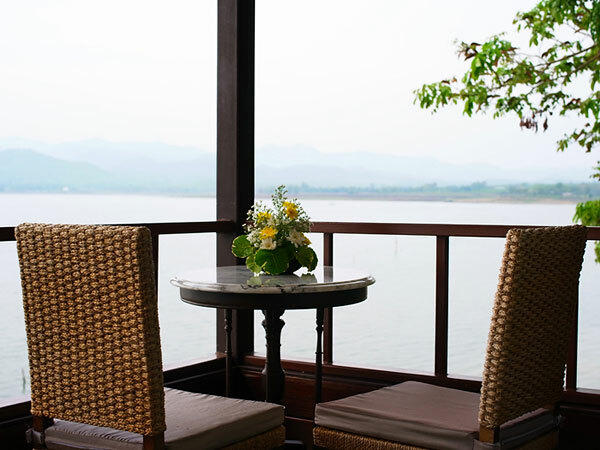 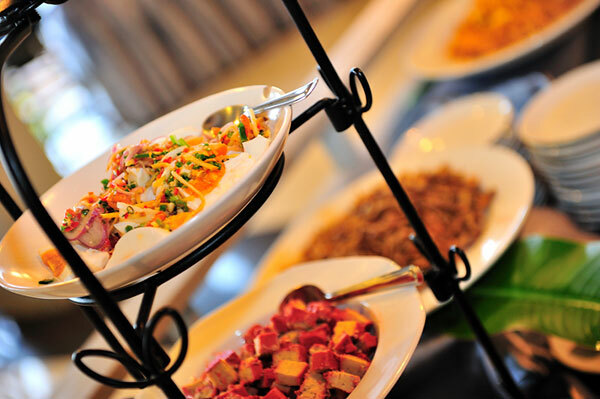 Facilities in the resort are adequate – there is conference room, Thai massage at spa, bar, restaurant in the hall, and private area for banquet at the raft (over the water) offering panoramic view. 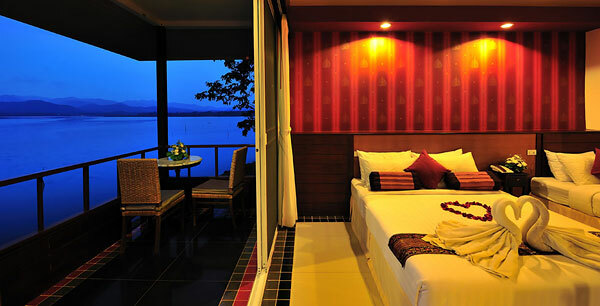 Most rooms available in this resort are next to the dam, where each room has balcony to see fascinating view of the lake. 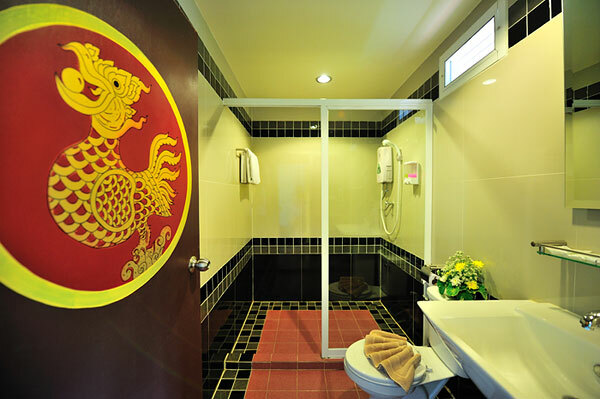 Amenities in the room are great provided like hotels – air conditioning, television, fridge, water heater, internet WiFi. 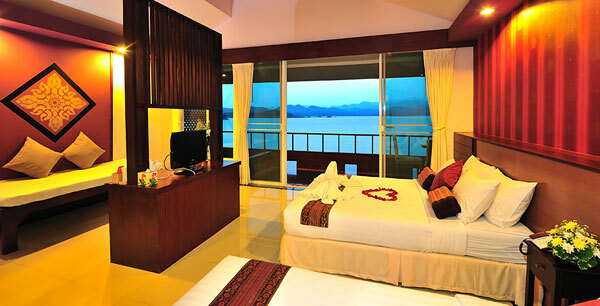 If guest do not want a room with a large bed, rooms with a twin-bed are also available here.